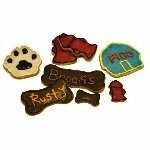 Looking for Peanut Butter Dog Treats? 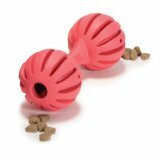 If you want a new type of peanut butter dog treats for your dog, look no further. This peanut butter lollipop is just the gourmet dog treat your dog has been hoping for: unusual shape, but the same great peanut butter taste. Lollipops are given to people after a doctor's appointment or a trip to the bank. 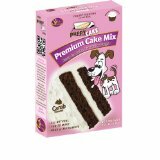 Why not make a batch for such occasions for your dog. 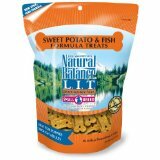 After a routine visit to the vet, or for a well behaved car ride running errands, your dog will deserve these gourmet dog treats. 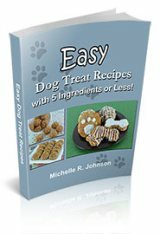 Even though your dog may steal a lick from your lollipop, with this and other easy dog treat recipes, he should have his own! 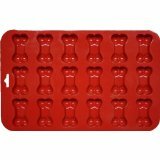 If you don't have a lollipop mold you can substitute a regular or mini muffin pan. Don't think you have to stop at round lollipop molds, though, there are many dog shaped molds to choose from, too. You can also customize the types of "sticks" you use for your lollipops. This recipe calls for rawhide, so you can use regular, twisted or your dogs favorite flavor. 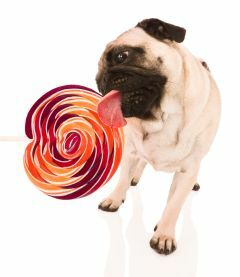 You can try bully sticks or anything else that would be strong enough to hold the lollipop. Whatever you choose make sure it is completely edible for your dog. These gourmet peanut butter dog treats make great party favors for your next dog party! Stir all ingredients together in a microwave safe bowl. Microwave on 50% power for 30 seconds at a time until the ingredients are warm and somewhat of a pourable consistency. Stir thoroughly after each 30 seconds in the microwave. Scoop the peanut butter into the molds. If it is still thick then press the mixture with your fingers, into the molds. Fill each mold 3/4 full. Let them sit for 5 minutes. Press the rawhide sticks into the peanut butter. Make sure the stick is placed about in the middle, with the top being covered. 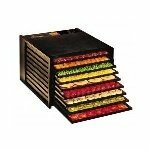 Remove from the mold, wrap individually in plastic wrap and store in the refrigerator. These are very delicate treats. 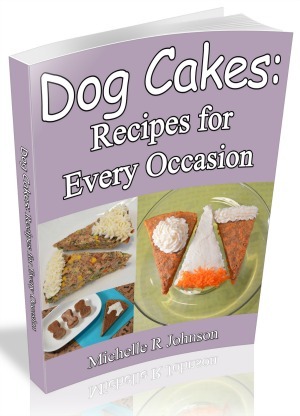 If you are making them for a dog party, be sure to make them no more than 2 days in advance. Once made store them in the refrigerator for one week. These make great gifts, so when you make this or another gourmet dog treat recipe, be sure to make enough for everyone!